This might sound strange, but I’ve used the delete everything approach to email for years. I have finally decided to start archiving instead. I have 2 TB of space for my iCloud mail and unlimited storage on my work email, so I have plenty of room on both of them for large archives. On the Mac, there is an Archive button in the app, but I want to use a keyboard shortcut. I’m going to show you how to map one so you can work faster. 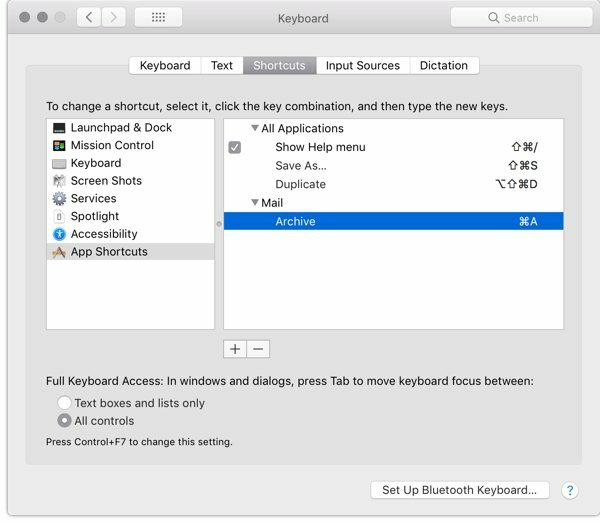 Click  > System Preferences, and then click Keyboard, and select the Shortcuts tab. 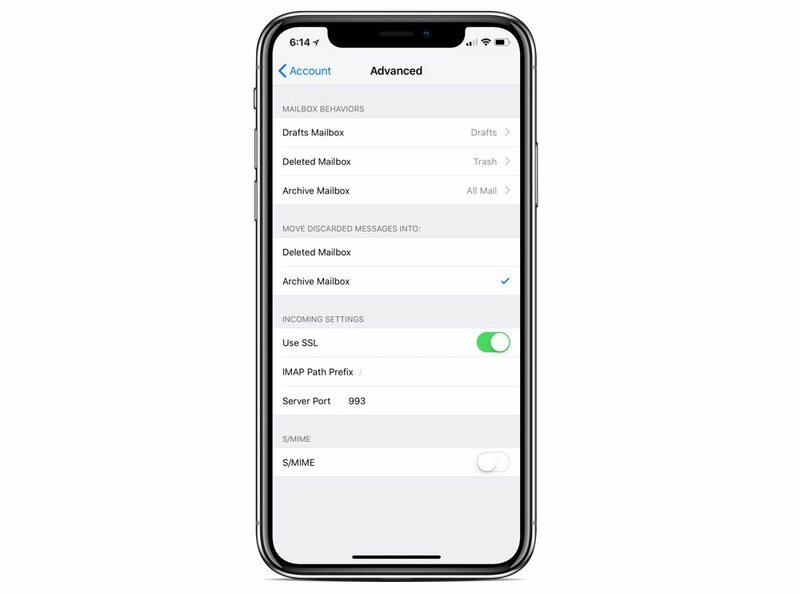 Click App Shortcuts, and look for the + button in the middle of the screen. Select Mail from the Application dropdown menu, and enter Archive in the Menu Title field. 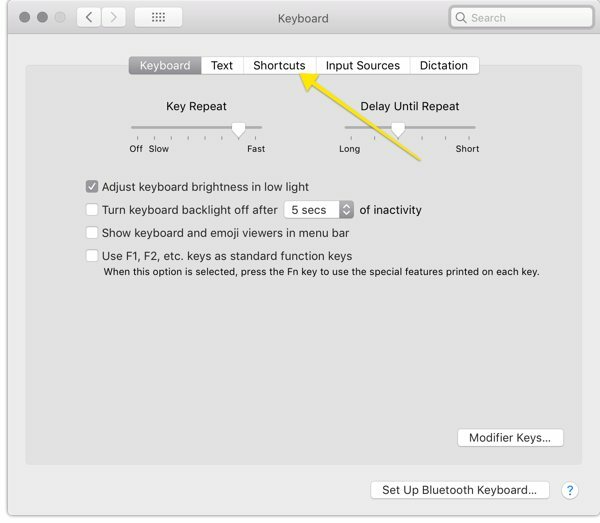 On the final field, enter your keyboard shortcut by pressing the keys, and click Add. I decided on CMD + A, but you can pick whatever you can easily remember. Just ensure it doesn’t clash with another keyboard shortcut! 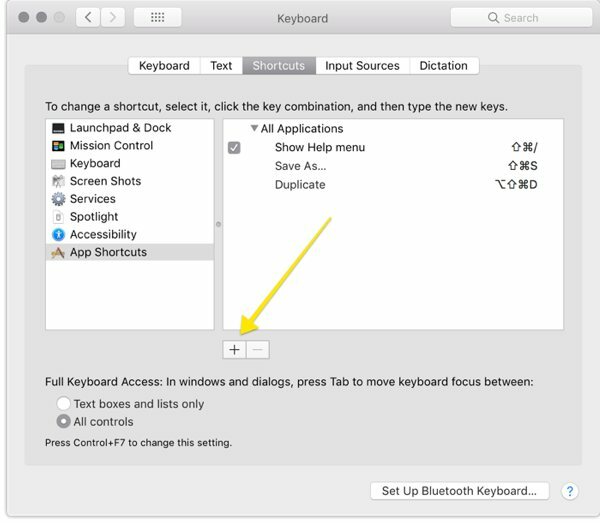 You can use this shortcut method for solving similar problems in other apps where keyboard shortcuts aren’t provided by default. Over on iOS, there is another way to do this. Go to Settings > Accounts & Passwords. 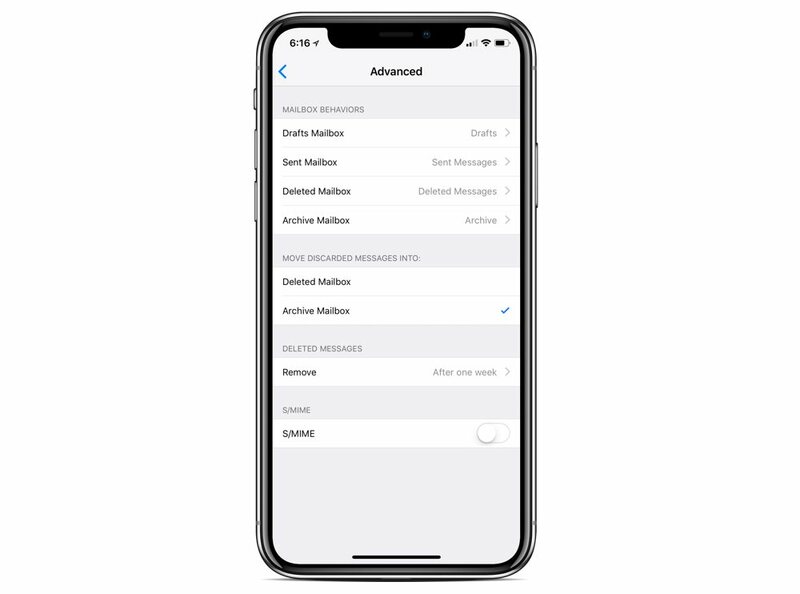 This way, messages are archived when you swipe and an archive icon is visible on the lower toolbar when viewing a message in the Mail app.